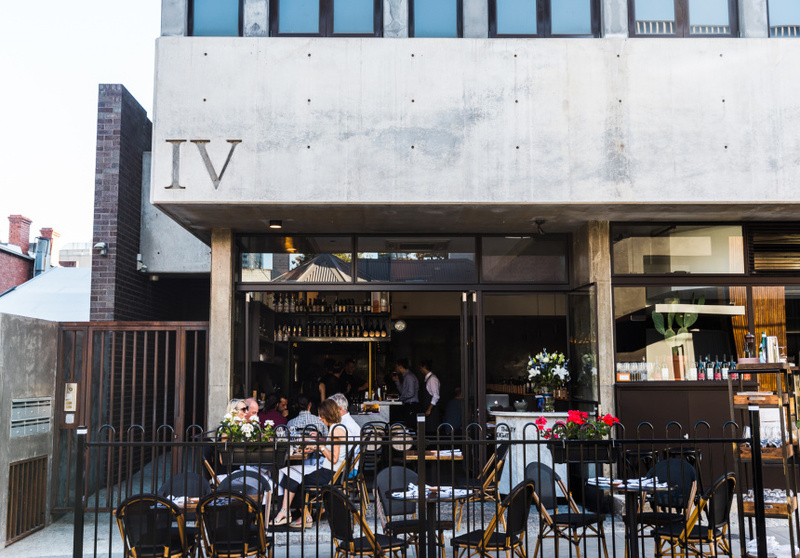 The once diminutive South Yarra restaurant is unrecognisable, with dark Italian marble, leather banquettes and heaps more space. But you’ll still find recipes from nonna. 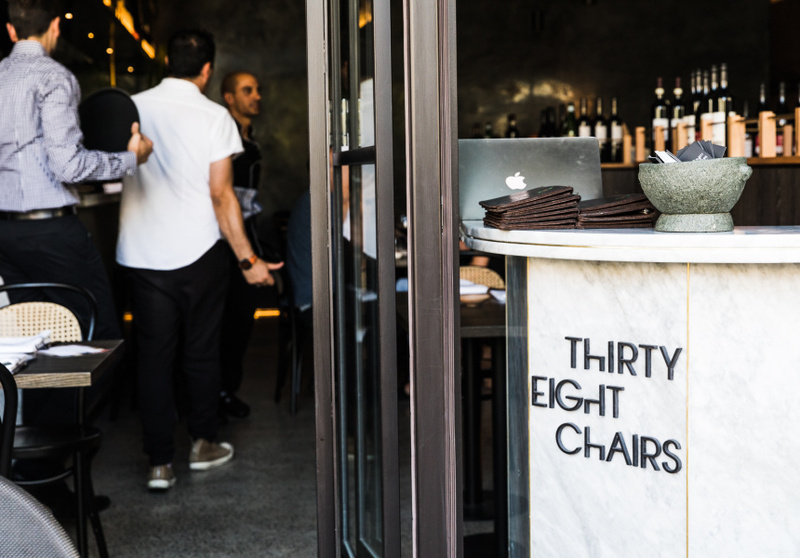 You’ll no longer find garlic braids at South Yarra’s Thirty Eight Chairs. The red-and-white checked paper in the bread bowls? Also gone. And the signature hanging logs of salami are now stored in the restaurant’s new meat-ageing fridge. When Thirty Eight Chairs opened six years ago, it had 38 chairs. It was tiny. 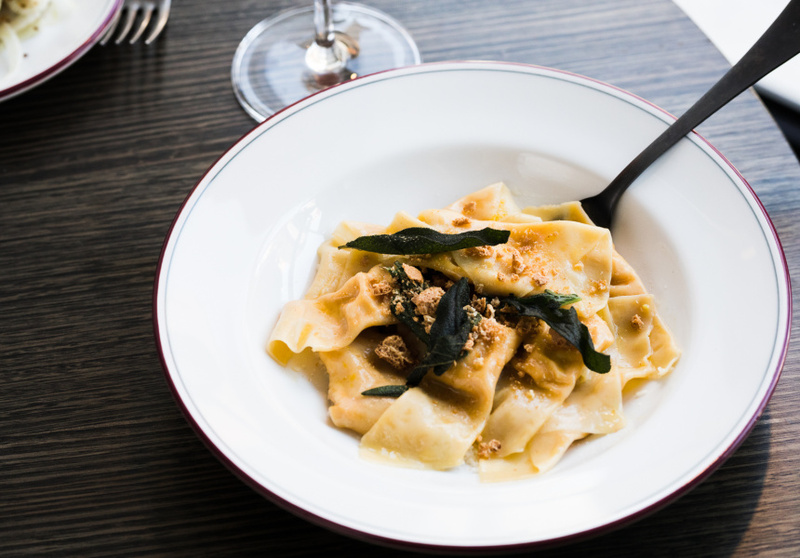 Last year owner Gino Forlano took over the shopfront next door, and after a month-long renovation, his popular Italian bistro now seats 85. “We still want people to clean the plates with the bread," he adds. The new space is a wash of charcoal, lit up in different shades by the natural light that floods in through the street-facing floor-to-ceiling windows. The walls feature dark Italian marble, the banquettes are Italian leather, and the curtain covering the back wall is Amalfi Coast-made. Forlano’s family comes from that coastal area of southern Italy, and it’s that style of cooking which dominates the menu. There’s a lot of seafood. Newcomers include Frittura di Paranza – a mix of fried whitebait and soft shell crab – and I due Carabinieri – two huge charcoal-grilled prawns served with cannellini beans, fennel and orange. Many of the recipes are Forlano’s nonna’s, including the pasta itself, which is made fresh daily and served soft, not al dente. “It’s very soft. People think al dente because they have been miseducated, but the pasta that is al dente has been made the day before,” he contends. Linguine with mussels, clams, scallops, prawns, scampi, garlic, chill and pea puree is the most popular pasta on the menu. But don’t go past the cavatelli with braised octopus. Cavatelli are little shells of pasta that look like orecchiette, but rolled into a hollow scroll. Here they’re cooked to be slightly chewy, then tossed in a golden emulsion of yellow Datterini tomatoes, with rounds of octopus tentacles, Sicilian pistachios and colatura di alici di cetara, aka an oily, amber liquid made from anchovies caught off the Gulf of Salerno in southwestern Italy. Fisherman layer the fish with salt in chestnut-wood barrels for a few months, then the juice that emerges is evaporated in the sun to make it more concentrated, then poured over the barrelled fish again, and bottled. The new bar also has a new menu, developed by general manager and sommelier Fabio Magliano. There’s also a new cocktail menu with plenty of Prosecco, Campari and Amalfi Limoncello.